Simply put sustainability is about our future generations and the kind of world we will leave them. The most common definition comes from the UN World Commission on Environment and Development - “sustainable development meets the needs of the present world without compromising the ability of future generations to meet their own needs.” Meeting the needs of future generations with regards to use and waste of natural resources is a key risk issue for all industries but never has it been more critical than for agriculture and our food system. Consumer-driven concerns require a “farm to fork” or food system approach to evaluating environmental impact risk. Companies initially looked at their environmental footprint for their facilities only. Today, consumers want to know their food is safe, affordable, transparent (know what is in the product) and sustainably sourced. That means food processors will need to verify that their direct and indirect suppliers are using sustainable practices. All food for humans and feed for animals start with a crop or livestock somewhere in the world. Less than 3% of the global water supply is fresh. 70% of fresh water is used by agriculture and food manufacturers to produce our food. Up to 40% of all food produced (and the natural resources used to produce them), is wasted and never makes it to a human or animal. 24% of greenhouse gases are produced by agriculture and the food system. Climate change will continue to have an impact on our food production. By 2050, the population will have increased from 7.3 to 9.7 billion and will require the global food system to produce 60% more food. We do not have the natural resources to reach that goal today. An effective enterprise-wide risk management (ERM) process will anticipate traditional, non-traditional and emerging risks, and then develop appropriate risk control and mitigation strategies. Today sustainability-related risks and issues are becoming part of a company’s core ERM analysis. Sustainability has evolved over the last few years and currently looks at three critical risk categories – environmental, societal, and governance. Some say it is about the planet, people and product. Whatever the definition, managing the risk of sustainability has evolved to become a critically important risk issue for all industries. Sustainability challenges are growing. For the food system, risks include - declining farming acres, worker availability & treatment, increasing population, deforestation, climate change, social purpose investing, changing consumer demands, water scarcity, and more. These and other emerging risks yet to be discovered require a fresh look at how they impact business models. For food companies there is a race toward a sustainable future and competition is increasing in pace and intensity. We see a business landscape where rules and operational processes are changing. At the same time, there is a growing shift to a “purpose driven” operating environment with top concerns not just becoming a profitable business. Food companies, by creating Corporate Social Responsibility (CSR) reports, have made sustainability promises to their customers, stakeholders, and stockholders. The risk for the agribusiness and food system industry is about reputation and trust and not being viewed as a sustainable company doing the right thing for people and the planet. It is about living up to the promises made in CSR reports. Consumers want food companies to “say what you mean and mean what you say”. Moving to sustainable operations can be good business. Studies already support that a company focused on being sustainable and socially responsible is one that enjoys an improved financial performance. 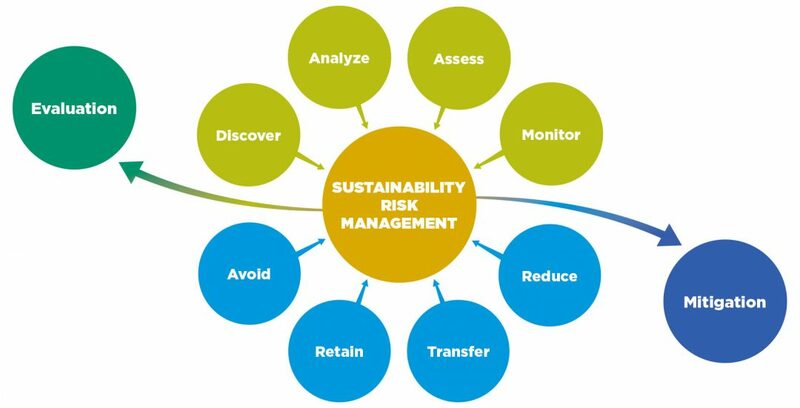 Sustainability risk management was added to our portfolio of services after seeing the need to help agriculture and food companies integrate sustainability into their core business decision-making systems. We can provide a full range of environmental services needed by food companies and their agriculture supply systems, as well as other industries concerned about their sustainability risk. This also includes agricultural compliance and engineering and soil erosion product solutions. Powered by our EcoPractices® platform, we identify, collect, verify, document and provide comprehensive reports and professional recommendations to help companies on their journey to sustainability success. 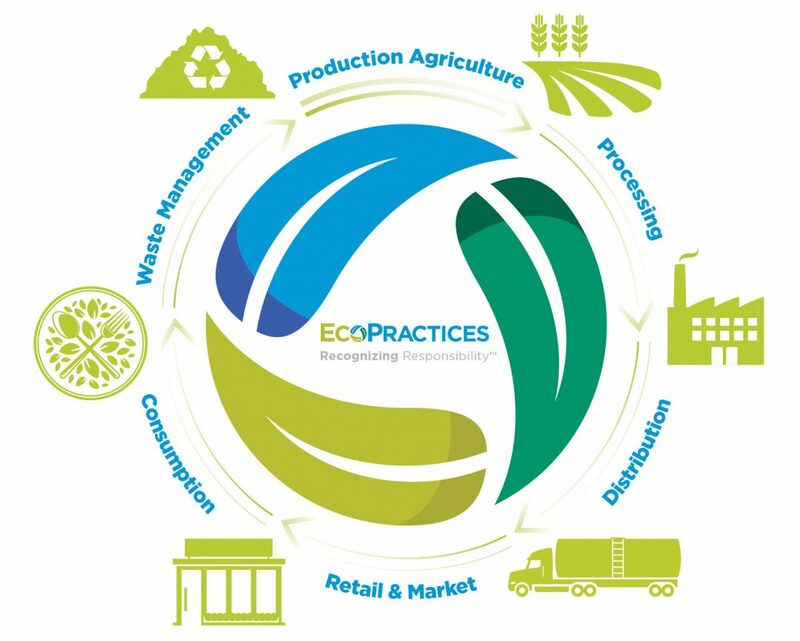 Check out how the EcoPractices platform delivers for McCarty Family Farms.